He was born in January of 1924 in Southern California. When he was about eight years old he took up his grandfather's fiddle and started learning tunes from a 5 string banjo player. Glenn also learned many tunes such as "Haste to the Wedding" and "Leather Britches", from his father, Frank Berry who played fiddle and guitar, also danced and sang. He learned tunes from the Dust Bowl farmers from Texas, Kansas, and parts of Nebraska, who had moved to California to find work. These were the Depression years. 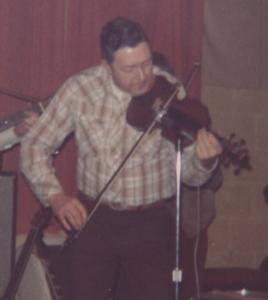 He was also influenced by listening to many older fiddlers who played tunes dating as far back as the Civil War era. They included Delacour, John Tate, Bob Shaw and others. 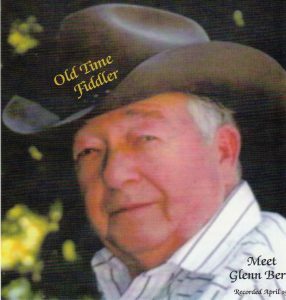 Because Glenn learned from so many fiddlers from all different parts of the country its is impossible to give a name to his style of playing, other than it is definitly "Old Time" and probably closest to the "Missouri" style. As a young boy Glenn started playing for local dances and square dances. his playing was put on hold while serving in the Army Air Corps in World War II. 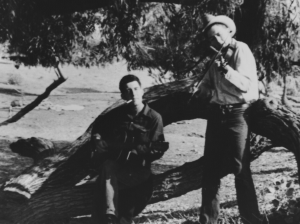 After the war he moved to Washington state and played for square dances and later in the 60's he and Don Stalter played with some local musicians in a couple of local dance bands. Glenn passed away in February of 2015. This excerpt was taken from Glenn Berry's CD Meet Glenn Berry Recorded in April 1995.